This Wednesday, 19 December, RTÉ One’s Nationwide will broadcast a special programme at 7.00pm celebrating 60 years of the pastoral service of the Irish Chaplaincy in London. The Irish chaplaincy is an agency of the Irish Catholic Bishops’ Conference, and is partly supported by grants from the Department of Foreign Affairs. 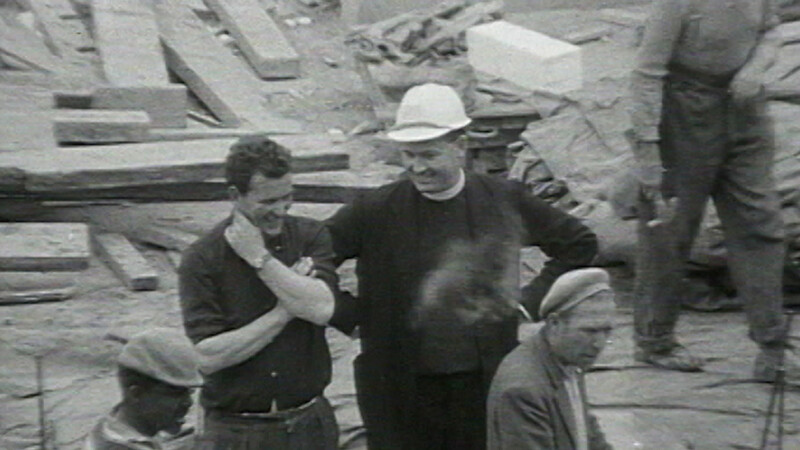 When established by the Irish bishops in 1957 the London-based ministry had a wide network to serve and a large number of priests working with it. Today the Chaplaincy pastorally supports three specific Irish groups: seniors, Travellers and prisoners, and it is staffed mostly by lay people with Eddie Gilmore as its chief executive. The patron of the Irish Chaplaincy in London is President Michael D Higgins. Some of the services provided by the Chaplaincy’s support for prisoners include: visiting Irish prisoners and providing them and their families with advice and information; keeping in contact by letter; assisting families in Ireland to visit prisoners in England and Wales; offering pastoral support if requested; researching, identifying and responding to prisoner needs; and, working closely with other organisations and prison departments caring for the welfare of Irish prisoners and their families. The Irish Chaplaincy Seniors Project services consist of: visits to older Irish people regularly in their home, in hospital or residential care home and spending quality time with them to offer positive support and encouragement; maintaining regular telephone contact to ensure isolated older Irish have someone to talk to and share their hopes and concerns with; liaising and advocating on their behalf with health and social care providers and a range of other organisations as required; helping them to reconnect with their families back in Ireland; supporting those who want to move back to Ireland and making this transition as smooth as possible; offering a knowledgeable and comforting presence, in relation to end of life questions and concerns, and providing advice on funeral planning in London and in Ireland; exploring older people’s faith and spirituality with them, and linking them to a local faith community if requested. The Travellers Equality Project works closely with the British Prison and Probation Service; provides information, advice and free bespoke resources for practitioners working with Travellers; holds Traveller forums in prisons; provides diversity training for support group; and, carries out thorough research to identify the needs of Irish Travellers. Wednesday’s programme will also highlight the contemporary ministry of a Polish priest, Father Dariusz Plasek, who originally served his compatriots in Co Clare, but is now a parish priest in Ennis.